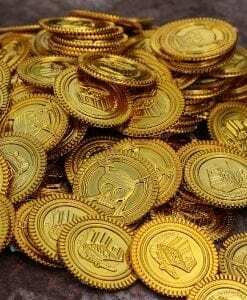 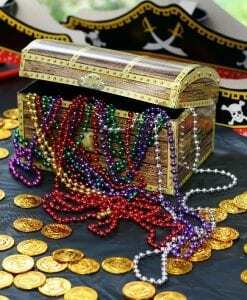 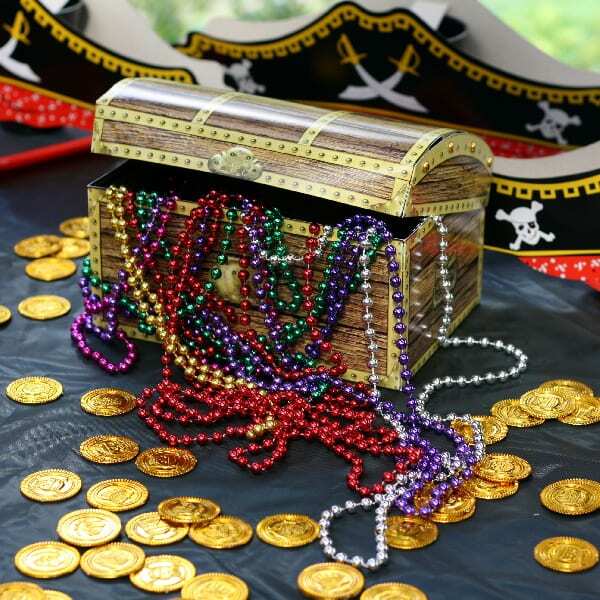 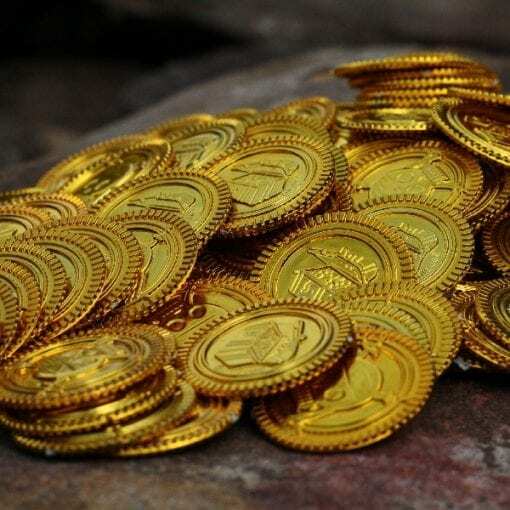 All seaworthy pirates need to find treasure and these pirate gold coins are the perfect treasure! 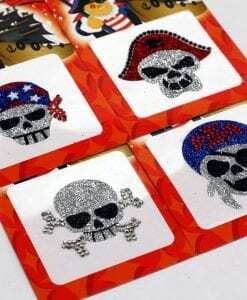 These lightweight pirate gold coins feature a treasure chest on one side and a pirate skull on the other. Combine the coins with brightly coloured necklaces and a paper mâché treasure chest for a fabulous table decoration. 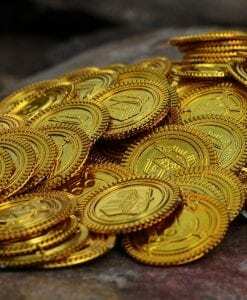 Pricing is for one pack of 144 coins. 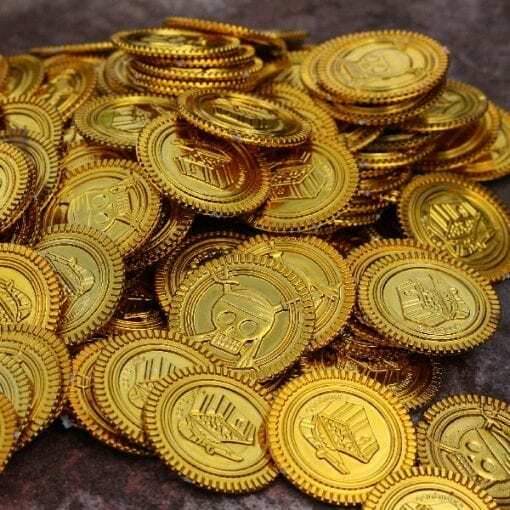 That’s a lot of coins for a pirate treasure hunt!